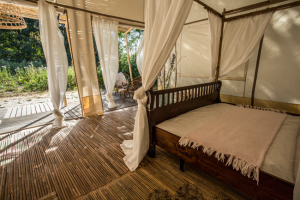 Bamboo Spa & Resort tents: The perfect exotic hideaway! 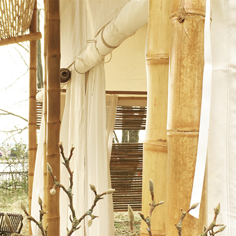 Do you want to buy a luxury bamboo eco resort tent? 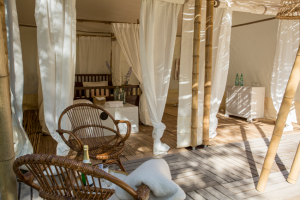 The Mocadazu Spa & Resort tents are our top-notch luxury bamboo eco tents, especially designed for high-end resorts and five star luxury hotels. Instead of being tucked away behind concrete walls, where all connection with nature has been evaded, our luxury bamboo eco spa & resort lodges bring the luxury lifestyle back to the heart of nature. The calming sound of a river, the stunning view from a mountain top, or the healing sound of lapping sea waves – it all contributes to relax body, mind & soul in perfect harmony with the natural environment. 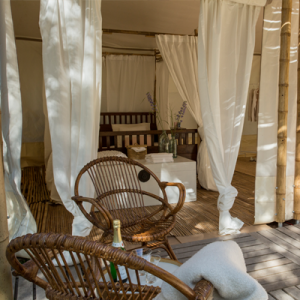 Our Mocadazu bamboo eco Spa & Resort tents distinguish themselves from our Bamboo Glamping tents by the extensive detailing, super deluxe finishing, romantic lace curtains and addition of extra bamboo to create the ultimate exotic accommodation. The roof is reinforced to create an extra strong structure. 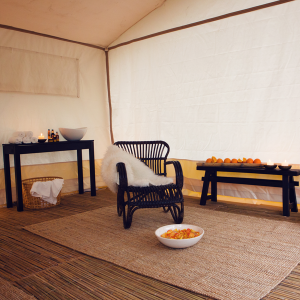 Our bamboo Spa & Resort tents are equipped as standard with an opaque and flame-retardant roof. Actual doors and windows can be included, as well as insulation and reinforcement to attach a fan or air conditioning. 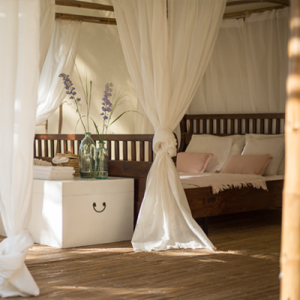 The luxury bamboo eco Spa & Resort tents can be furnished with all the necessities for a luxury spa experience or a five star resort stay. More information about the Spa & Resort tents? 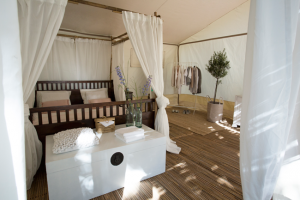 Our Mocadazu Resort Original series are beautiful, spacious luxury bamboo eco resort tents. They have a unique and exotic design, which makes them perfectly suited as a five star rental accommodation. The luxury bamboo eco resort tents were especially designed for luxury hotels, five star resorts or high-end tented resorts. 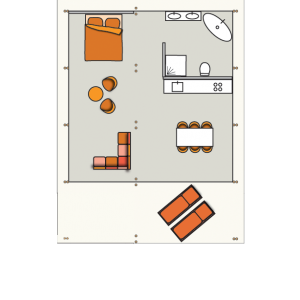 More information about the Mocadazu Resort Original series, click here! 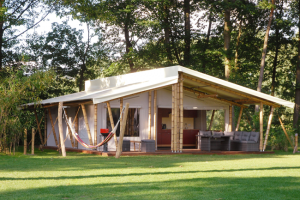 The Mocadazu Resort Lodge series consist of top-notch bamboo eco resort tents with an elegant, timeless design. The luxury bamboo eco Resort Lodges were especially developed for exotic five star hotels and resorts and super luxurious tented resorts. More information about the Mocadazu Resort Lodge series, click here! 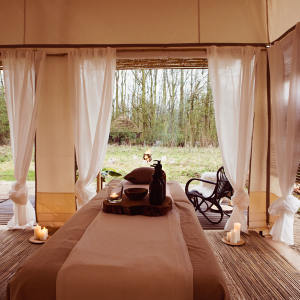 The Mocadazu Spa Lodge is designed as a luxury bamboo eco spa facility with space for one or two massage tables. 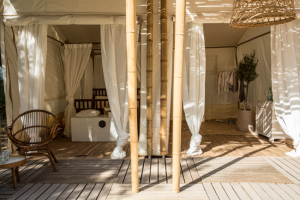 It can be placed in unused areas, offering an innovative and unique bamboo eco spa concept to your guests in a low-risk way. This luxury bamboo eco Mocadazu Spa lodge also helps to fit in more guests when the main spa is at full capacity. More information about the Mocadazu Spa Lodge, click here! 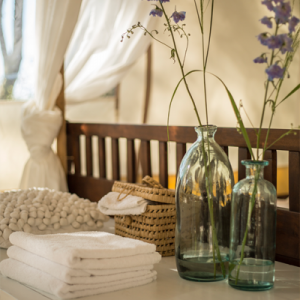 Do you have any questions about our luxury Spa & Resort tents? 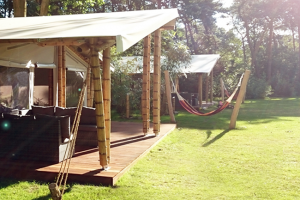 Our Mocadazu Resort Original series are beautiful, spacious luxury bamboo eco resort tents. They have a unique and exotic design, which makes them perfectly suited as a five star rental accommodation. 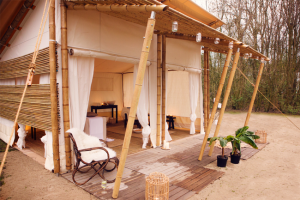 The luxury bamboo resort tents were especially designed for luxury hotels, five star resorts or high-end tented resorts. 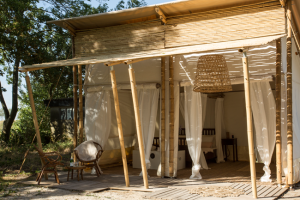 The Mocadazu bamboo eco Resort Original tents are characterized by their open design, spacious awning and large openings and windows. Luxury is all about the connection with nature while enjoying relaxation and comfort. To allow guests to optimally experience their beautiful surroundings, we have created a design in which the interior and exterior beautifully merge together. The extra large awning protects guests from sun and rain while enjoying the outdoor living space. These luxury bamboo eco resort tents with their bamboo frame and iconic roof can accommodate 2-8 people, depending on size and layout. They provide the perfect getaway for a couple or can be furnished for a luxurious family vacation. The frame is made of light brown Guadua bamboo, which originates from South America. The roof is made of high quality opaque and fire retardant PVC fabric and the inner tent is available canvas/acrylic fabric. There are 3 different sizes to choose from. All tents within the Original series are 7.2 meters wide. The length varies and is 5 meters, 7,5 meters or 10 meters. 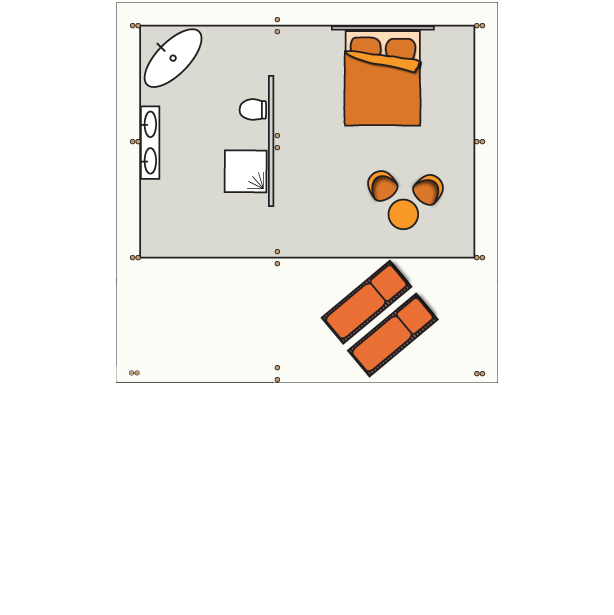 There are several possible layouts, see the floor plans of the tents. 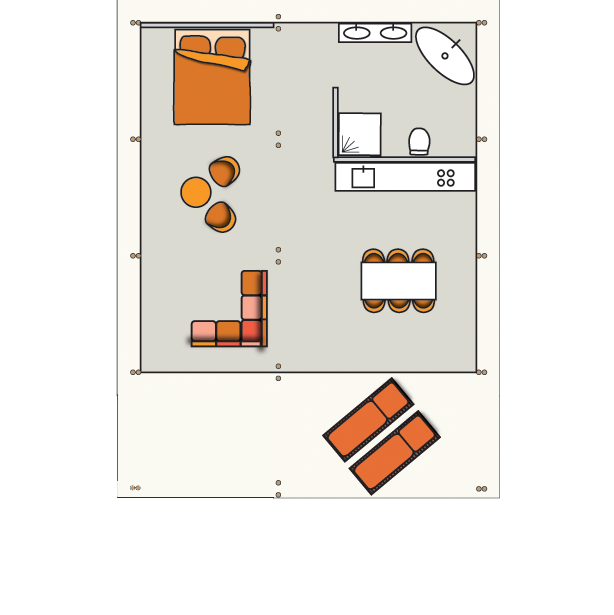 Of course, this layout can be adjusted entirely according to your own preferences. 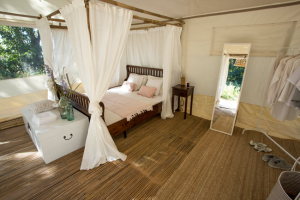 We have special offers for fully equipped bamboo eco resort tents. Ask us for these special offers! Are you interested in this beautiful Mocadazu Resort Original series? 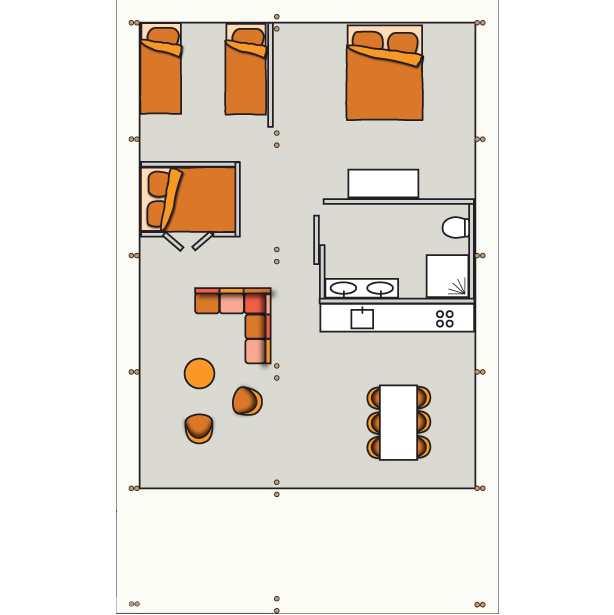 The Mocadazu bamboo eco Resort Lodge series can accommodate 2-8 people, depending on size and layout. They can be furnished for a luxurious couple’s stay, as well as a luxurious vacation for a family. The frame is made of light brown Guadua bamboo, which originates from South America. The roof is made of high quality opaque and fire retardant PVC fabric and the inner tent is available in canvas/acrylic fabric. There are 3 different sizes to choose from. 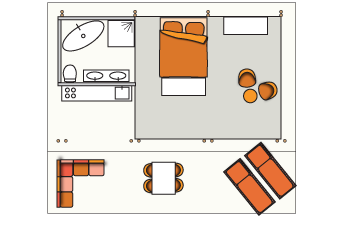 All tents within the Mocadazu Resort Lodge series are 4,2 meters in length. The width of the tents varies and is either 5 meters (with or without extended roof) or 7,5 meters. 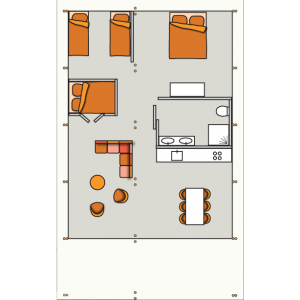 There are several possible layouts, see the different floor plans. Of course, this layout can be adjusted entirely according to your own preferences. 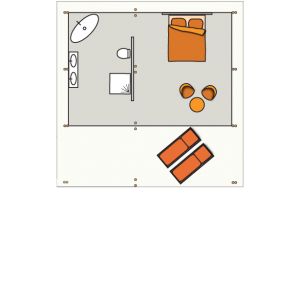 Are you interested in this beautiful Mocadazu Resort Lodge series? The Mocadazu Spa Lodge is designed as a luxury eco spa facility with space for one or two massage tables. 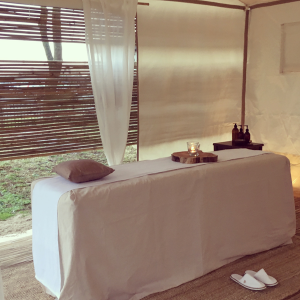 It can be placed in unused areas, offering an innovative and unique spa concept to your guests in a low-risk way. The luxury Mocadazu bamboo eco Spa lodge also helps to fit in more guests when the main spa is at full capacity. We have designed a standard Spa Lodge that can easily be adapted or extended to suit your specific requirements and wishes. 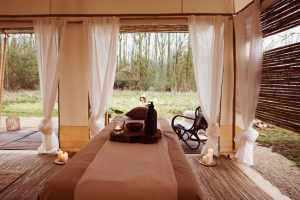 The luxury bamboo eco Spa lodge can be used in all weather conditions. The frame is made out of bamboo, and the inner canvas tent protects against sun, wind and rain. 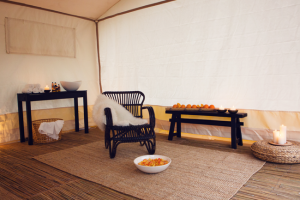 The canvas tent can be zipped open and rolled up to create an airy bamboo Spa Lodge. Under different weather conditions the tent can be zipped and closed. In a cooler climate, it is possible to implement a woodstove to create a warm and cozy atmosphere for your spa guests. The luxury bamboo eco Spa Lodge is designed in collaboration with SpaTree, a professional Spa consultancy company specializing in training, education & concept development. 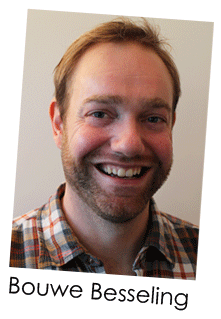 The SpaTree team brings together many years of practical experience and in-depth knowledge about Spa Education and the Spa industry. Their portfolio ranges from accredited Academies such as Ananda Spa Institute in India, National School for Tourism in the Netherlands, HZ University of Applied Sciences in the Netherlands, the Dutch Academy of Beauty & Massage Therapists to Luxury Spa Resorts such as Mandarin Oriental, Chivasom, Amanresorts and Ananda in the Himalayas. 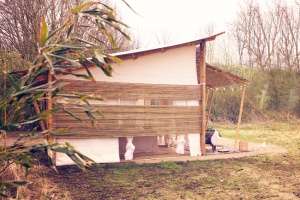 We have special offers for fully equipped luxury bamboo eco Spa Lodges. Ask us for these special offers! Do you want to offer your guests a beautiful, unique and relaxing experience? 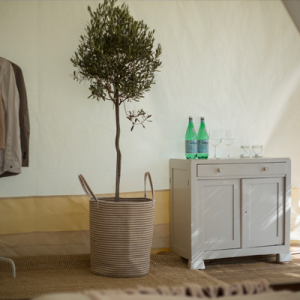 A Fully Furnished Resort Tent! 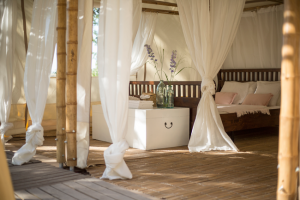 Complete your luxury bamboo eco resort tent with carefully selected furniture. 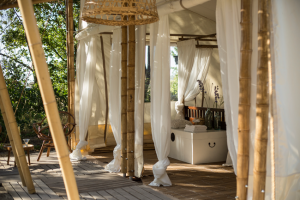 This furniture fits perfectly with the exotic look of the luxury bamboo eco tents and consists of a combination of bamboo furniture complemented with all the necessities your guests need for a carefree stay. 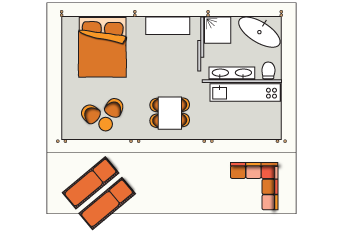 You can think of beds with mosquito nets, a cozy lounge area and a spacious dining area. 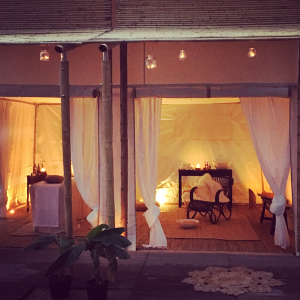 There are various packages, suitable for the number of guests you would like to welcome in your luxury bamboo tent. A complete luxury resort interior package is available from € 4.750,- (ex VAT)! A Fully Furnished Spa Lodge! 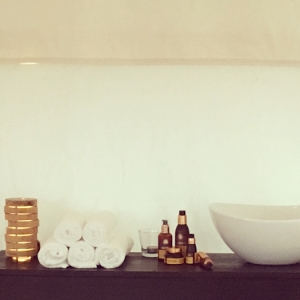 Our spa & resort lodges can be complemented with spa interior and accessories. These interior packages are equipped with all necessary facilities to design your spa & resort lodge so that you can receive your guests directly. 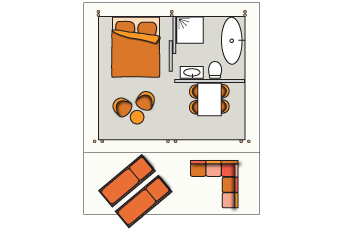 With the Spa Deluxe package, you have everything you need to set up your Spa Lodge. The Spa Deluxe extra package is a supplement to the Spa Deluxe package and gives your Spa Lodge an extra luxurious look.